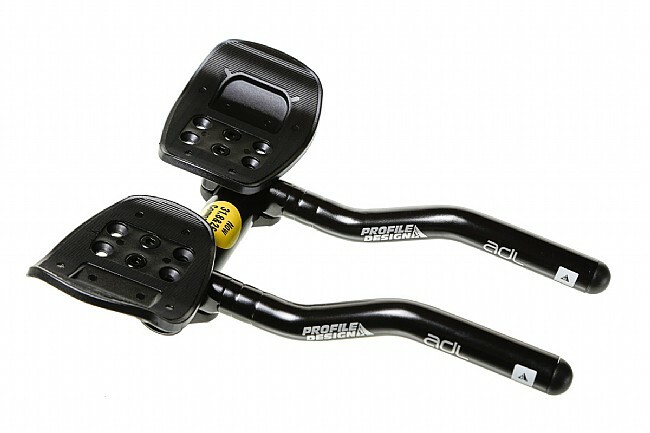 Profile Design's ADL alloy / composite aerobar strikes a balance of comfort and performance, tailored to put the rider in a position that will still be comfortable when used on a road bike. Its minimalist design features a fixed extension length, but the injected-molded F35I armrests can be moved forward or back into three different positions or removed entirely for a sparser setup. It fits both 26.0 mm and 31.8 mm diameter bars and includes a detachable aero bridge for maximum versatility. Removable arm pads and Lightning Stryke Race aero bridge included. Claimed weight is 565g. As the other reviewer writes, these are not real TT bars due to their small size, and limited adjustment. But as he states they work well for getting down out of the wind. I've these on my Soma touringsport bike. I'm tall, 1.96m with long arms, but these little bars still work, however, I'd want a full size bar if doing a 40k TT. Just the ticket for what I want, getting a few miles in an aero position. Mine were missing the shims to mount on 26mm bar, but got on the phone, and Andrew had them in the mail that day, and received them in 2 days. Great service! Simple. No frills. Good price ($89 for Gold Express Members). Can use with or without the pads, and can mount under the bars (no pads) if you want to keep the bars free on top. I have these on a Novara Mazama with Salsa Cowbells and have also tried them on a Surly Ogre with XLC butterfly bars. In fact, I love these things-they really take the edge off of strong winds and they give you so much more power when pedaling. Imho I think these would be perfect for touring. 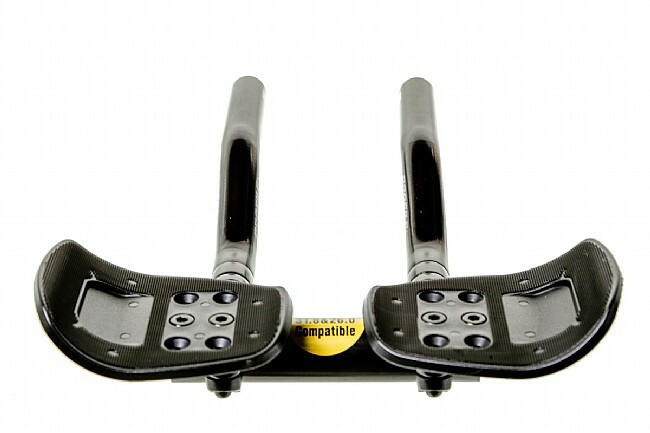 So, if you haven't guessed these aren't really aerobars for serious triatheletes. There is virtually no adjustment of the pads, the pads are only adjustable fore and aft about 1.5 inches, but I am long waisted so that doesn't bother me a bit. If you have shoulder or elbow issues that prevent you from a narrow riding position, these probably aren't for you (although you could probably mount them wider using shims).